TOKYO -- A Japanese air force F-35 stealth fighter crashed into the Pacific Ocean during a night training flight and parts of the jet were recovered, the defence ministry said Wednesday. The pilot is still missing. The F-35A stealth jet disappeared from radar while flying off the eastern coast of Aomori and parts of the jet were found late Tuesday, the Air Self-Defence Force said. It went missing about half an hour after taking off from the Misawa air base with three other F-35As for anti-fighter battle training. 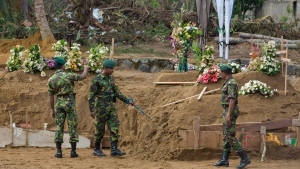 Defence Minister Takeshi Iwaya told reporters the cause of the disappearance was not immediately known. He said 12 other F-35s at the Misawa base would be grounded. The pilot is a man in his 40s, Iwaya said. 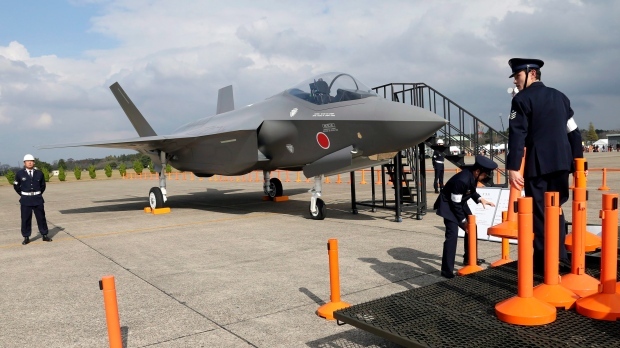 Japan started deploying the expensive U.S.-made F-35s since last year, part of its plan to bolster its defence spending and weapons capability in the coming years to counter potential threats from North Korea and China. Under guidelines approved in December, Prime Minister Shinzo Abe's government plans to buy 147 F-35s, including 105 F-35As, costing about 10 billion yen ($90 million) each.